11) Sew Liberated has a sweet child's apron pattern meant to fit a 3-6 year old. 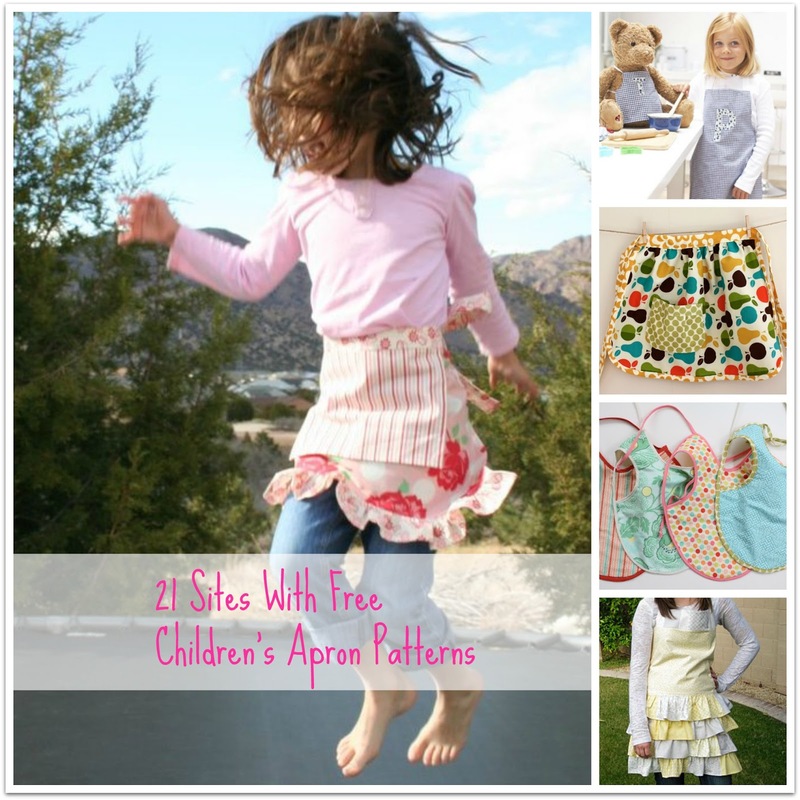 Necessary alterations can be made to adjust the apron for both older and younger children. 12) My Byrd House: Kid's Smock Apron (One of my favorites!). 13) sew4home: Child's Apron. They provide patterns for all types of things, and also frequently have giveaways.